The latest in computer technology has made it possible to create some extremely real looking 3D horse games. The sights and sounds of these games will amaze you whether you are playing on your PC, Mac, iPod , Wii or even Android. For those who appreciate realism and awesome graphics these games are sure to please. 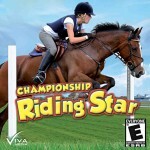 Horses come alive on your screen as you race your way to the finish line, breed a new horse or glide over the jumps. 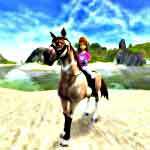 Multi-player games, where you get to share your love of horses with other players, enhance 3D adventures. 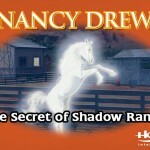 Secret of Shadow Ranch is a really fun adventure horse game, however, in the free trial version you get to play it for only 1 hour!